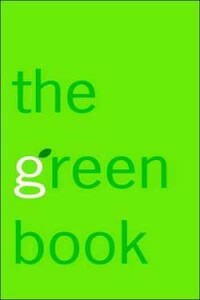 Elizabeth Rogers and Thomas M. Kostigen’s innovation with The Green Book is integrating essays from celebrities on how they are leading green lives. Cameron Diaz wrote the Foreword, and twelve other celebrities weigh in. 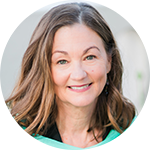 While it might be tempting to dismiss this tactic as shallow or cynical, Rogers and Kostigen are keenly aware that for many, environmentalism is narrowly associated with an elite liberal segment of society, and has failed to connect with much of Middle America. So the participation of NASCAR star Dale Earnhardt Jr.—whose fan base is not a typically green demographic—is a real coup. Other celebrities include Tiki Barber, Tyra Banks and Justin Timberlake. Star power aside, The Green Book is right out there with the hard facts and how even the smallest of changes adds up. For example, if everyone in the U.S. used one less paper napkin a day it would save one billion pounds of landfill waste a year. A unique addition to a collection of living green books, it’s serious and “star” approach works. Love the stars featured in it? Buy this book. Know others who love the stars in this book? Buy it for them!